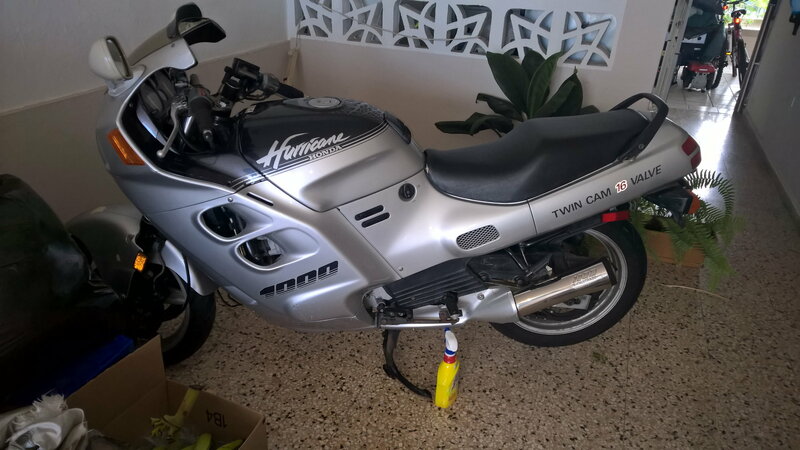 Yes I found a local Honda CBR1000F Hurricane with supposedly 16K on the clock for 1K. The bike supposedly has a starter problem (starter turns motor wont). Long story short it has a busted alternator/starter drive chain. $122.00 bucks later I got a new chain coming in from Australia. So now the fun starts tearing the engine down to install the new chain and check things out on the way. My thanks to you guys for having this forum for me to pick through and hopefully find help with this project, also many thanks to the guys that posted the shop manuals, just awesome. Currently living here in Puerto Rico taking care of my 87 year old mom with dementia/Alzheimer. The busted bike is a welcome distraction while trying to fix it and what not. Irma and Maria tore us a new one for sure, yet we are moving a long. So there in the reason for picking up the busted Hurricane. The fix will be well worth the time, welcome to the forum. It's been a long time I don't ride, so I will have to take it easy so to get my wheels back under me. It's going to be fun.